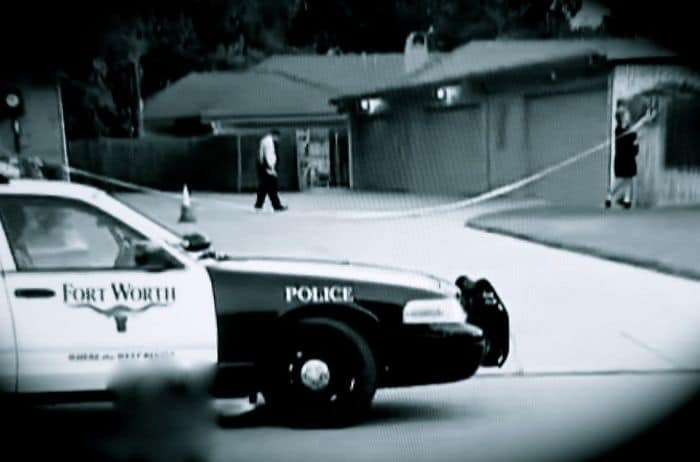 Home Thoughts Opinions Claudia Hidic’s Murder in Upscale Fort Worth Neighborhood Out-Of-Place! Claudia Hidic’s Murder in Upscale Fort Worth Neighborhood Out-Of-Place! Let’s start here. Claudia Hidic lies dead at the back of a large rental house near TCU. That’s easy enough. But why is she dead? Who shot her and why? Who kicked in the back door of this upscale home in the 3000 block of West Overton Park Drive. Oh, this is in Fort Worth, Texas and the neighborhood is called Tanglewood. I’ve never heard of it and I live in Austin. You’re excused, if you know nothing about it as well. Something tells me the residents like to keep it low key. It’s a respectable neighborhood with a low crime rate. A murder here sticks out like a sore thumb. Also, little data has been given on this 17-year-old victim, Claudia Hidic, other than she just finished her Junior year at Trinity High School in Euless. Come to think of it, she lived in Euless, so what was she doing in Tanglewood Thursday evening (June 28th)? Claudia lived about 8 miles away from the sweepingly huge West Overton Park Drive house (which I’ve only seen from news footage). Well, she worked at Los Jimadores Tex-Mex Tequila Factory and wanted to be an actress. From looking at her many pictures, it would seem as if she could accomplish just that. Oh yea, she originally fares from Berlin, Germany and is a Bosnian. So, the picture is clearing up a tiny bit, but is still drastically out of focus. Claudia lived with her sister and had foster parents, who looked after her. But what happened to her real parents? Once again, let’s return to a week ago Thursday, June 28th. Time: 5 PM. Many people at Overton Park, perhaps gearing up for an ensuing Fourth of July holiday. Oh, one neighbor hears three distinct gunshots. Four girls and a dog are seen running away from the home in question (as reported on Nancy Grace). Yet, who saw these girls and a dog fleeing? Was it the people at Overton Park? 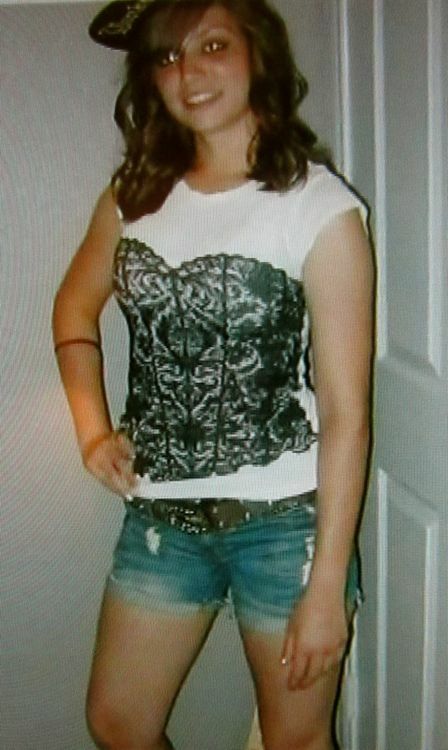 Were the girls possibly acquaintances of Claudia Hidic?She dies from a single close-ranged gunshot to her head. Shell casings are found nearby. Did the other two shots miss their intended target? They must have! What about speculation that a silencer was used? Why didn’t the anonymous man who made the 911 call hear the shots? Did he arrive home after the unsavory incident? Why has he suddenly clammed up as of last Saturday? Is he the owner of the sprawling mansion, or just another renter? And what about the great amount of activity or commotion reported (to have taken place) at the house that day? Who saw the activity? Was it neighbors? We know about the air conditioner repair men, but what was the nature of the other activities observed? No drug deals going down, I must ask? A very odd case indeed! Doesn’t make any sense! The mystery man who phoned in the homicide, talks at first, then gets the willies for some reason, and goes mum, silent as the lambs. Why? Calm down! Pull back. Get a birds-eye view for a change, if you can. Rewind the tape and let’s see it again. Photos of Claudia, the house, the usual yellow crime tape, a bashed in door removed from the house. Oh, footage of a neighbor who was a very good witness. Still not clearing up. Claudia shot by back door, or moved there? How big was the pool of blood near her head? Why can’t the Star-Telegram scoop the story any better? Yea, the police won’t say anything, but that’s always the case. Can’t get underneath it. Los Jimadores looks like a good lead. How long had Claudia been working there? Who were her friends? Better yet, who were enemies? What was her reason for going to Tanglewood that evening?